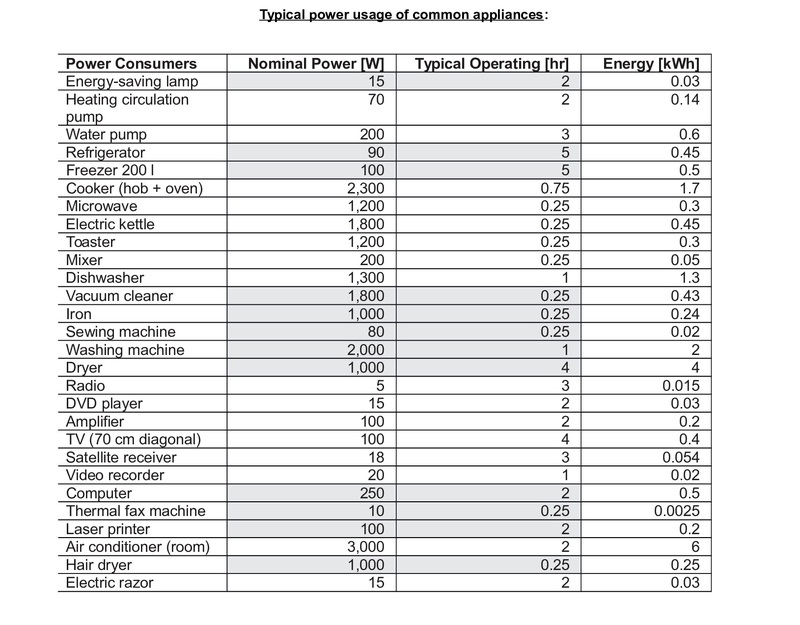 What is the typical energy usage of an specific appliance? This differs from each type of appliance. Best is to measure, or to have a look at the name plate on the appliance. The table below will give you an indication of typical energy ratings. How does as backup system or hybrid solar system integrate into a distribution board? Our backup power solutions easily integrate with your existing DB Board. We recommend that a new DB board be installed that is dedicated for backup power circuits. 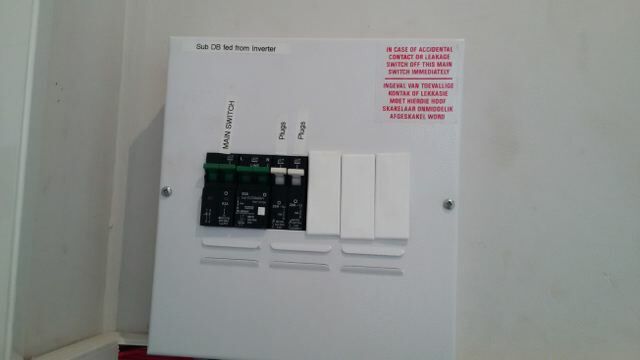 An extra earth leakage protection switch is installed in this new DB board. Then certain existing circuits can be moved over to the new “backup power DB Board”. Alternatively extra plugs can be installed in addition to the existing plugs. What is required before the backup power system can be installed? Your current electrical installation must be up to standard and have a valid certificate of compliance before we will install our backup power solutions. We can arrange this for you. What if I have 3 phase power supply, how does your system work with three phase supply? One of the three phases will have backup power. The other two phases will have no backup power. There are basically three ways to calculate the power and energy requirements of a solar power / backup battery system. Two, Install an energy logging device, this device will tell you the peak amount of power drawn at once, and the total energy consumed per day and per month. These devices are widely available to buy online, one good example is the Efergy Energy Logger. Download and complete our “Energy Usage Calculator” This can be completed and emailed back to us. Click here to download our “Energy Usage Calculator“. GES Standard Hybrid Power Systems – Frequently asked questions. What is the benefits of a hybrid power system as supposed to just a backup power system of grid-tied solar system? Grid-tied solar systems, depend on a grid being present for it to work. If there is no grid for example during load shedding the solar system also stops working. Having a backup power system in place, allows the solar system to continue working, even if there is a grid power failure. This is achieved by the backup power inverter simulating a local grid for the grid-tied inverter.